Growing up, I always enjoyed watching the “behind the scenes” specials for my favorite films. Seeing the creative effort and approach that went into the construction of a particular special effect or the layout of an important scene was fascinating. As I get further into photography, I appreciate the same information from some of the photogs I follow online, seeing how they approach certain conditions. 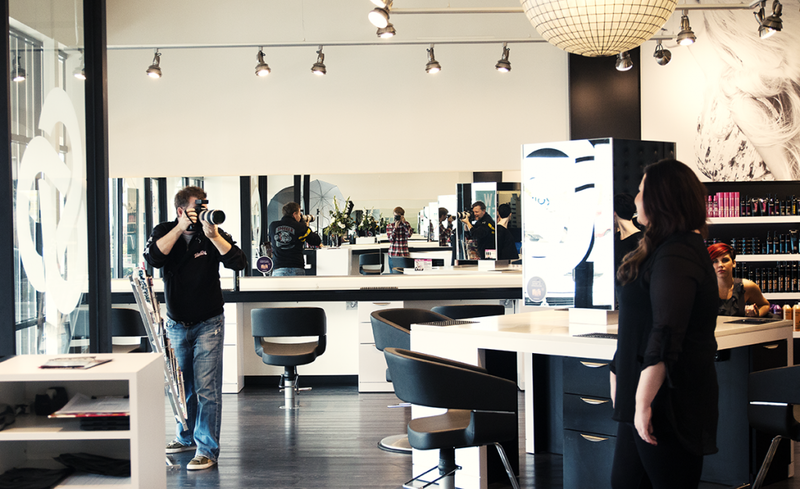 At the end of last week, I was invited to take staff photos at Trios Salon. Tanner took a few “behind the scenes” shots that reminded me of those, so I thought I’d post that and a sample shot or two from the shoot. You can see them all on Trios website.